Most of us make the assumption that schools are safe places for children however in some parts of the world, this is not a given. ChildFund is helping kids in Timor-Leste to advocate for their right to a safe education..
Children Against Violence post for a photo during their journey from home town Maliana to neighbouring district Suai, for a national child rights forum. For all of them it was the first time they had been to Suai. This blog post was originally published by the Global Campaign for Education’s United States chapter. As many children return to school this month across the globe, it is an exciting time for parents and students alike. There is an assumption made by most, that school is a safe environment for children. A place where they can feel secure as they learn, surrounded by people they trust who have their best interests at heart. Unfortunately for some children this is something that cannot be taken for granted. On what should be a happy occasion, many kids are instead instead filled with anxiety, wondering if their school is really safe. Children have the right to learn in a physically and emotionally safe environment that is conducive to learning. When we think about “safe environments,” there are several things we consider, but usually physical safety is at the top of our minds. Globally, children are exposed to several forms of violence in the classroom, on school grounds and on the way to or from school. They include corporal punishment, bullying, sexual gender-based violence, gangs and political unrest. 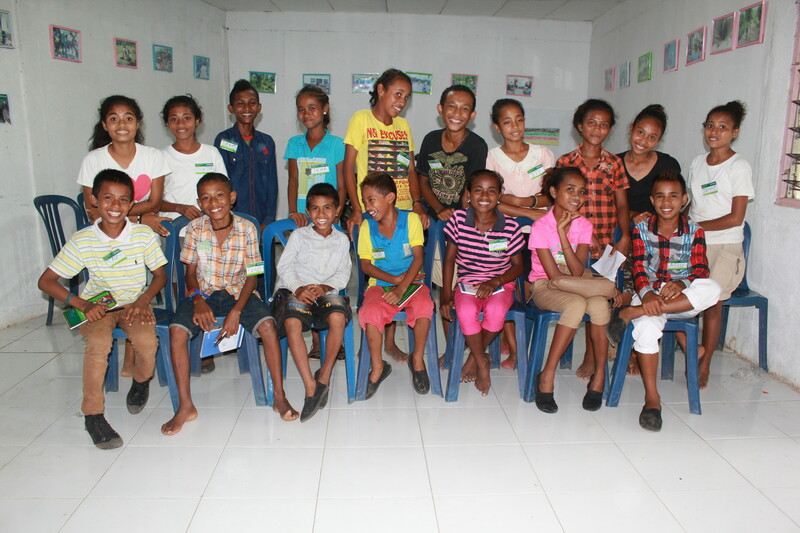 Use of physical punishment is common in Timor-Leste’s classrooms- a 2014 government survey found 67% of children have received corporal punishment in schools. The Children Against Violence use drama, art and other visual arts to raise awareness of the governments ‘zero tolerance’ policy against corporal punishment and promote child rights. These forms of violence, which can be physical or psychological, can prevent children from learning and staying in school. Evidence shows that corporal punishment by educators increases drop-out rates and perpetuates a cycle of violence. Bullying is linked to poor mental and physical health, school absenteeism, lower test scores and higher crime rates (bullies are four times more likely to engage in serious crime, according to a study in 28 countries published by the American Psychological Association in 2013). Sexual violence based on gender has a detrimental effect on girls’ attendance and completion of basic education, which contributes to the large gender gap in secondary school. Gang-related and political violence prevents children from even attending school, causing schools to close and teachers to resign. ChildFund International and our partners in the ChildFund Alliance are committed to contributing to a world where every child is free from violence and exploitation. We support children in exercising their rights, working to create environments where they can not just participate as advocates against violence, but also be at the forefront of change. 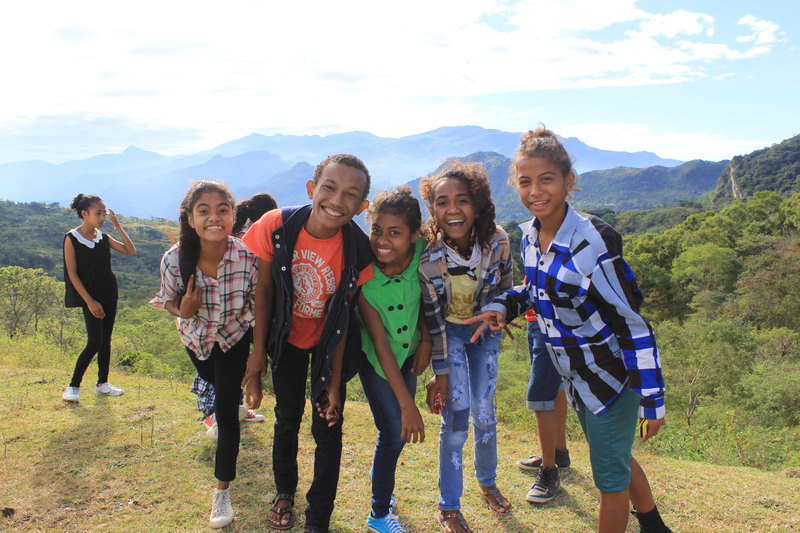 In Timor-Leste ChildFund’s Children Against Violence programme has prioritized the push for a legal framework that prohibits violence against children in schools, as well as community-based awareness activities. Students have created Child Advocacy Groups, which have conducted research on violence against children; group members have used this research to advocate for a national policy forbidding corporal punishment in school. A cadre of young advocates has grown out of the groups, and they promote the protection of children’s rights, as well as the education of teachers and parents about positive discipline practices. Children Against Violence, and their parents and teachers, are trained in child rights, child protection, negative effects of corporal punishment and positive discipline. The children will become advocates against corporal punishment at the community-level and national-level through use of performing and visual arts and dialogue with power holders. Students, parents and teachers need to work together to tackle all types of violence in schools, and one essential step is to provide support to children so they can raise their voices about this issue and make schools truly safe.